Hello everyone! I wanted to tell you about an accident and an interesting outcome. I made up some San Francisco dough. I had a slow cooker going with some broth in it. So instead of using the Brod and Taylor proofer I put the dough container near the slow cooker. I woke up early this morning and checked my dough. At 6:00 am it had already touched the lid, but didn’t push off the lid yet (my way of knowing that the dough is done fermenting). So it had fermented more quickly than usual. I felt the dough and it was obviously warmer. However, like a dunce I didn’t check the temp. I went ahead and shaped, proofed and baked the bread. With the first loaf I was shocked that the dough was getting pretty dark already after I took off the roasting lid (after the first 15 minutes) I turned the oven down and put the timer on for another 15 minutes but I should have known better, the loaf was very dark (it’s darker than it appears in the photo). I knew what was going on but was in denial over it (you know how you can ignore the evidence in front of your face). The warmer dough, less time fermenting and the not handling or folding (except once) ensured that the optimum amount of sugars were available for the crust. I am guessing the flavor profile will be great. Not sure about the sour tang though. I’ll have to let you know after the bread has matured and I cut into it. For the second loaf I turned the oven down to 470F/243C (instead of 480F/248C) for baking and it was already dark after the first 15 minutes too. So I turned the oven down to 450F/232F (instead of 480F/248C) for the second half of the bake and it came out dark, but in a perfect sort of way. The dough fermented for only 14 hours (at an unknown warm temp) and really optimized it’s natural sugar levels. Not only were the cell membranes kept intact for a longer period because of the lack of mechanical handling (which preserved the sugars from being broken down by the Amylase enzymes (Do Nothing method by Yohan Ferrant) for a longer period) but the warmer dough was may have affected the amino acids present and so encouraged a darker Maillard reaction). I am expecting these loaves to taste amazing. The dough was warm enough that the side of the container facing the slow cooker had hardened, dryish dough against the inside of the container). 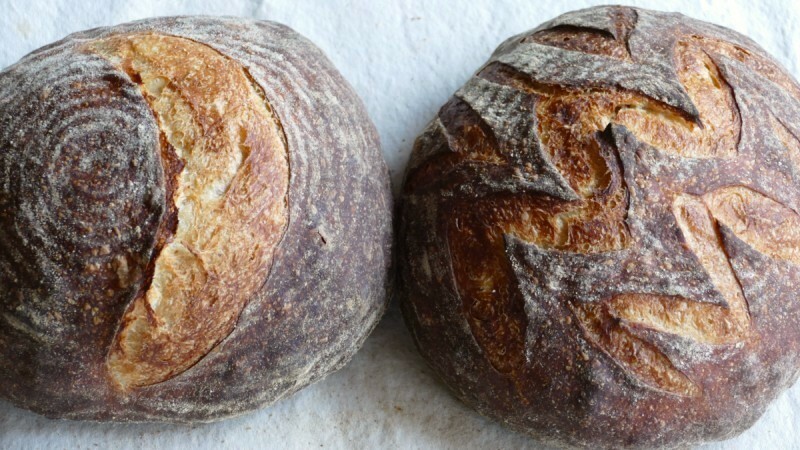 When I get a chance I will add this to the Bake San Francisco Style Bread course as additional information towards the end of the course. I will be experimenting with this further. 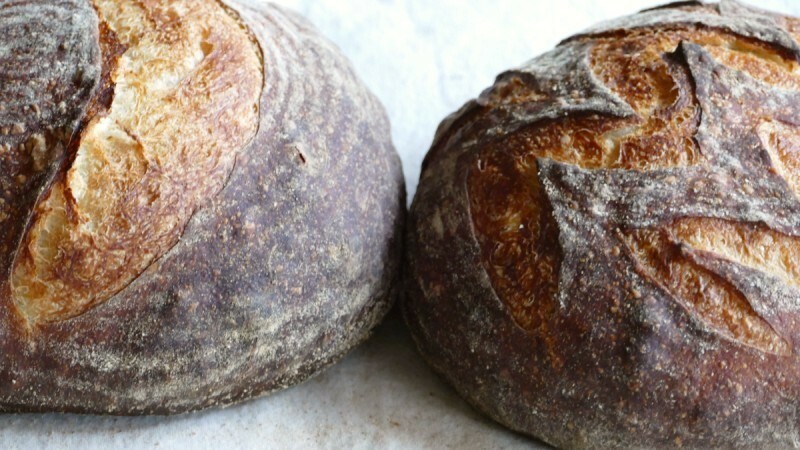 If you are interested in the full formula for our San Francisco Style Bread, you might be interested in joining us in the online course: “Bake San Francisco Style Bread Course” on Udemy or here on Zenler.